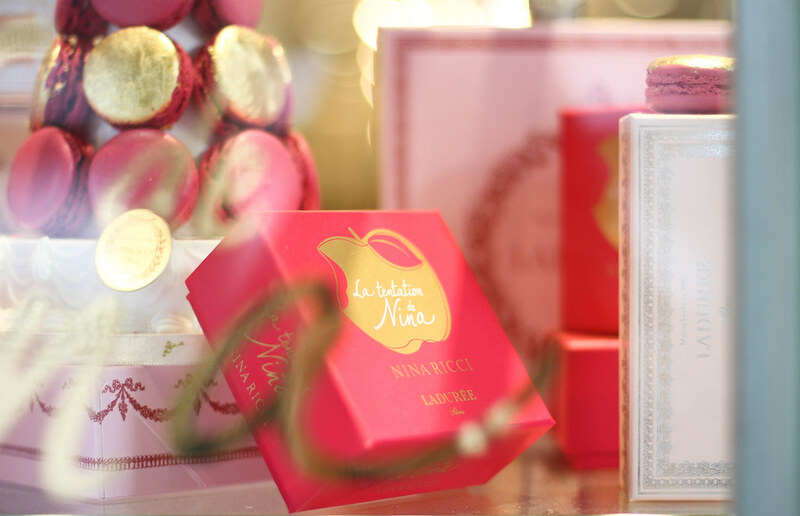 To celebrate the release of the new Nina Ricci scent, Ladurée have collaborated with this famous fashion house to create the girliest macaron yet. One bright pink meringue half and the other shimmery gold combined together with a delicious raspberry jam. 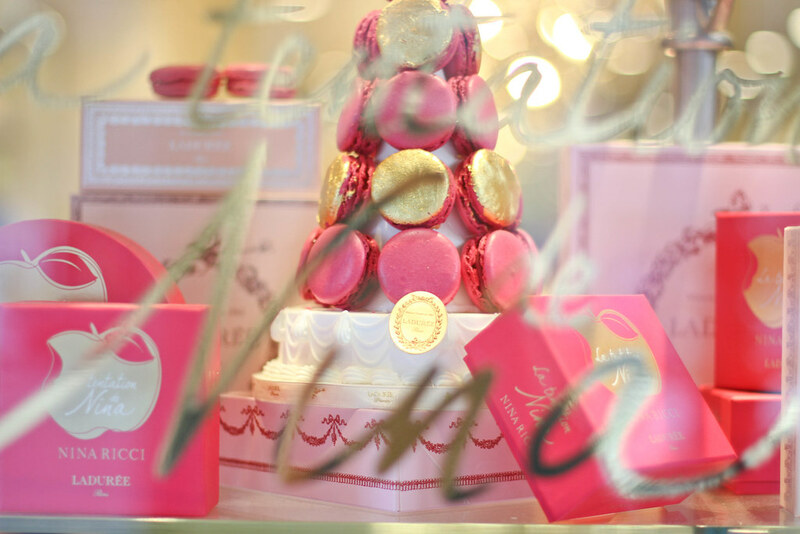 These delights are far too delicious not to try and the window displays are far too pretty not to admire. When I saw the pictures before a read the content I was thinking since when was Nina Ricci into the sweet stuff I see that its a collaboration. I have always love Nina Ricci perfumes. I have one of the perfumes which was in the cutest little bottle. Ah glad to hear – I’m usually a fan of their scents – although I must admit that I haven’t smelt this one yet but I’m sure it will be as lovely as their others plus the bottle is just as cute! What a beauty display. I would love to try out that perfume. I know I’m yet to smell it either! Ahh thank you so much! It’s a pleasure I love stumbling across new things online! 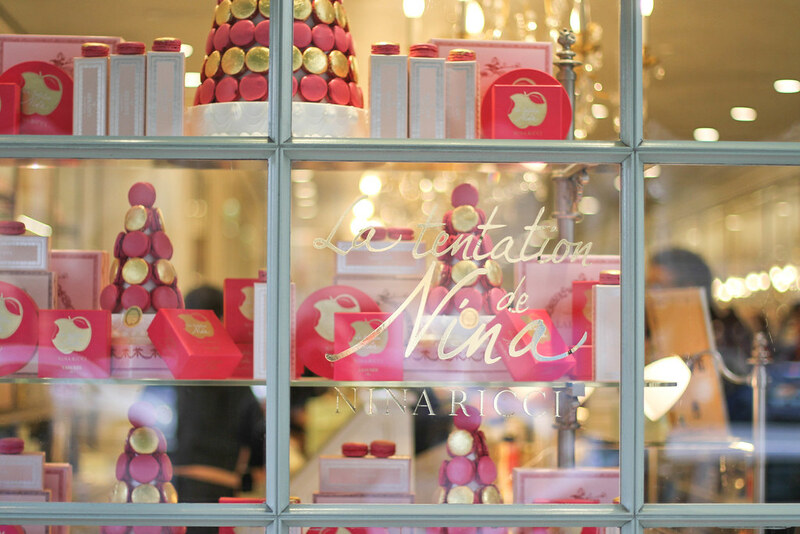 beautiful window display .. must pop in our local La Durée shop too .. Really love that image of the sales assistants with their blush pink aprons .. so pretty ! 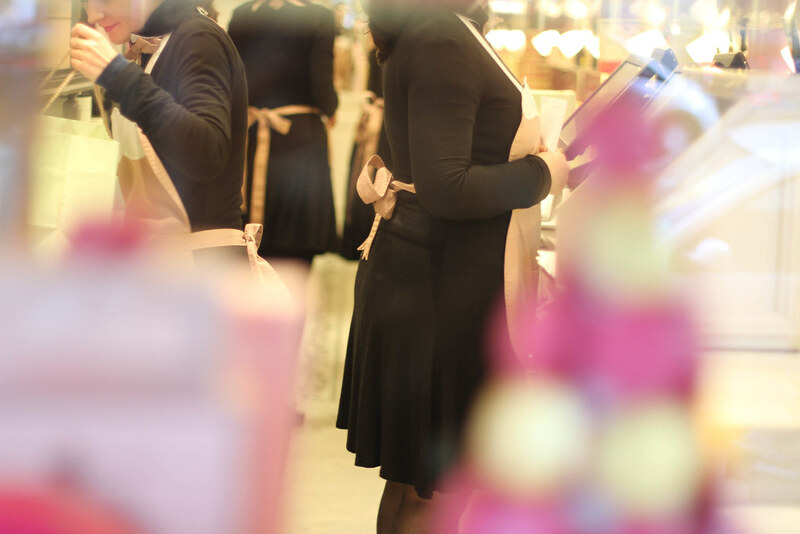 I always have to stop for at least a second when passing Laduree – I love watching the sales assistants busying around through the windows! As if macarons weren’t magical enough! I wonder if the NY location has these… I keep seeing them on Instagram and I’m jealous! That so gorgeous! I love pastriesssss. I’m jealous as well. It’s such a lovely collaboration! Me too! I know isn’t it just adorable? So pretty! Love the golden glow of these photos. And the macarons look heavenly! They never fail to amaze and surprise! I always keep my Ladurée boxes and use them in the best way possible. They’re just too adorable to throw away. Thank you for the amazing post and photos, Faye. 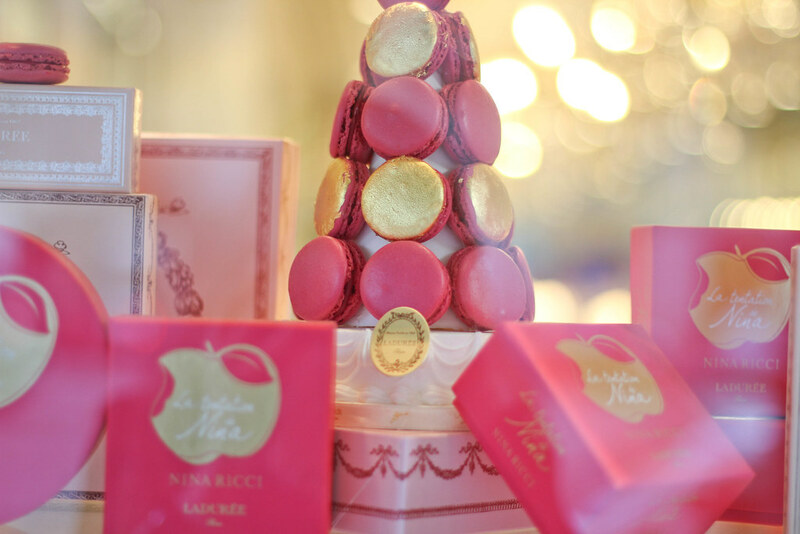 I could have some macarons for breakfast right now, yum!! I’d love to walk past such beautiful window displays when I go shopping at home! I am a sucker for macarons, they look amaaazing! Haha me too! I can’t ever pass one up! You take such pretty photographs! Oh these pictures are super pretty! Thank you! 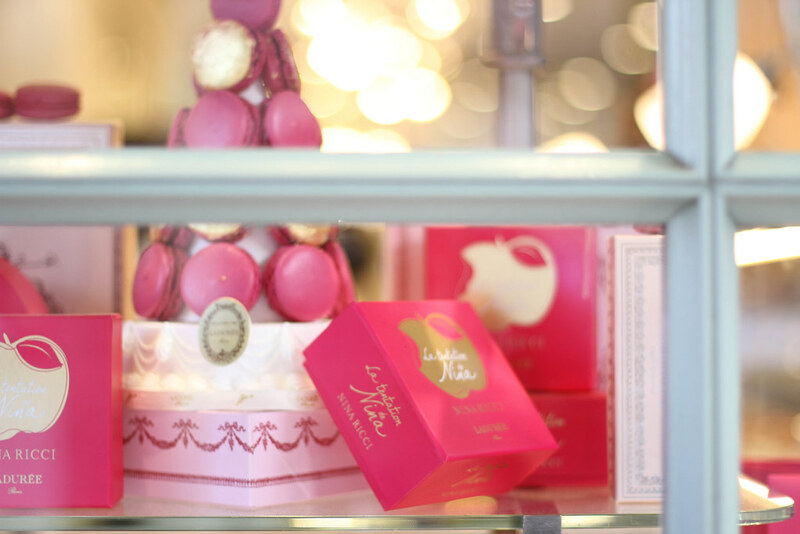 Laduree is too pretty to photograph!